Travel writers can be a restless lot. You have this urge to spend long hours exploring a place, and it doesn’t matter if it’s a new exciting one or a familiar favorite. You just need to go there, take photos, feel the sensation, eat, pray, love, whatever. 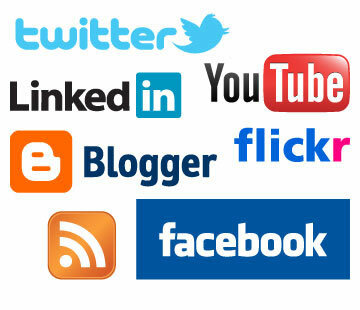 Then you’ll feel this urge to share what you experienced, and think “I need to write about this”. Then you stop at that. The planning-to-write-my-travel-story stage. Because you can’t find the time…..because it’s too damn hard to just sit in front of the computer and put all those disparate ideas and images in one coherent story…..because you can’t stop checking your e-mails and Tweeting and updating your Facebook status…..because you need to do the laundry, hang out with your friends, finish the project that your client wanted yesterday. A major writing project needs your undivided attention. Respecting your writing means putting in the time, money, and energy to make it happen. I had those times too. And when I got overwhelmed by both work and personal commitments, I decided to get away from it all and went on my own writer’s retreat. Editing news stories paid the bills but I have other plans with my life – like writing several articles for my travel blog and writing the first draft of my thesis so that I can get my masters degree in anthropology. So I took some days off from work, packed my netbook and camera, bought a bus ticket, and for roughly six hours commuted all the way from Manila to Baguio city (a northern Philippine city in the mountainous region known for its cool weather and bohemian vibe). The week-long retreat gave me the time and space to finish all my writing projects. Going on a retreat need not be a grand production. You can do it even this coming weekend, but you need to make some preparation. Pick a date: Clear your calendar and set aside some days for this retreat. If you can’t afford to take some time off from work, then reserve a weekend for the retreat. Though if you’re doing a major project – the last five chapters of a guidebook, the final draft of a travel memoir, that manifesto which will best define your travel blog – I suggest that you reserve several weekends off, maybe for a month, just for this retreat. Tell your family/friends/partner about it: Discuss with them why you need to be incommunicado for several days and that it’s essential that they support you in this endeavor. 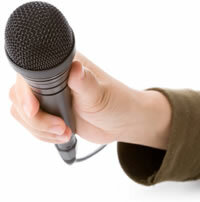 Set the agenda: What do you want to accomplish in this retreat? Write down a list of projects that you want to finish during this retreat so that you’ll not lose track of the purpose of this retreat. Pack up the essentials: Bring everything that you need to finish your projects – your laptop computer, journal, pens, research materials, MP3 player and even your French press and bag of coffee beans (especially if you feel like you’ll die if you can’t have dose of caffeine while writing). Choose a place where you’re comfortable: No use writing in a small cottage in the woods if you think it’s creepy, or confining yourself in a gross motel room that you can’t stand. On the other hand, there’s no need to book a room in a five star hotel if money is tight. How can you write if you’re worrying about money or the state of your room? Eliminate all distractions: Rent a place that doesn’t have major time-wasters including internet connection, cable tv, telephone, dvd player. I also advise that you choose a place which is not in any way near a mall, a bar or the cinema – the less temptation the better. If you get bored or find yourself having a major writer’s block, take a walk, meditate, read some poetry, or perhaps wash the coffee mug -such mindless activity can clear your head without keeping you from completing your writing project. Going on a retreat may sound like an indulgence – after all why bother spending for bus tickets or a hotel room if you can write at your kitchen table for free or if you can just write at corner table of a cafe for a price of one cup of coffee? This reminds me of an anecdote told by Po Bronson, one of my favorite writers. In 1994, Bronson and several of his writer friends decided to rent second-floor flat in a building in San Francisco and form the Writer’s Grotto. More than just a writers commune, the flat serves as a place where each writer rents a room and uses this as a space to write. The Writer’s Grotto is now very popular and has rooms to accommodate 32 writers (they even have a waiting list!). But during its early years, when people heard that each writer had to pay 300 U.S. dollars a month just to rent a writing space, they thought it was a waste of money. Why pay when you can write home, for free (duh)? But not for Bronson, and not for the original six members members of the Writer’s Grotto, who think that writing is both their livelihood and passion. Which brings me back to the issue of whether it’s worth it to invest in a writer’s retreat. 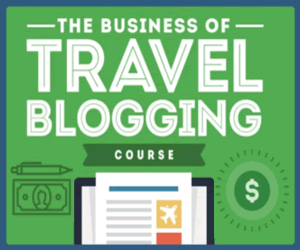 A major project – especially something that will make or break your travel writing career – needs your undivided attention. 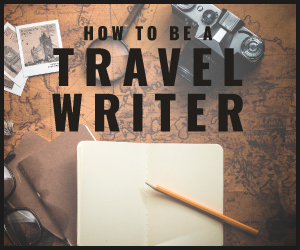 If you want travel writing to pay the bills and fulfill your dream of getting paid to travel and write, then it’s about time that you treat this as a career, not another hobby that you’ll just pick up if you’re not too busy. As a professional travel writer, you should RESPECT your writing and that means putting up the time, money and energy to make it happen. 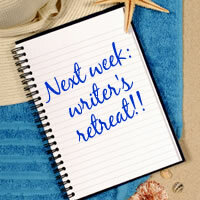 Have you been on a writer’s retreat? Share your advice! This entry was written by Prime Sarmiento, and posted on Monday, September 27th, 2010. The Writer’s Grotto sounds fabulous! .-= Veronica´s last blog post: PIRAEUS-ATHENS- There´s life beyond the Acropolis =-. Same here! Had I been based in San Francisco, I would have joined The Writer’s Grotto as it’s great to be a member of a writers community. Isn’t this the truth, “A major writing project needs your undivided attention. Respecting your writing means putting in the time, money, and energy to make it happen.” If you want something bad enough, you’ll find a way. If you’re a writer, you’re probably doing something else for a “day job,” and that means that you’re always trying to find time to write (like me!). Giving yourself dedicated time, away from your everyday distractions, can help you get your writing going, but also give you a place to meet other writers and share the struggles and triumphs of the writing life! Great post and kudos to you for your writing success! Thank you! Writers need to practice our craft so it’s important for us to find the time and place to write. I just visited your site and I hope that one day I can apply for one of your retreats. .-= Prime´s last blog post: Finding the time for travel writing =-.